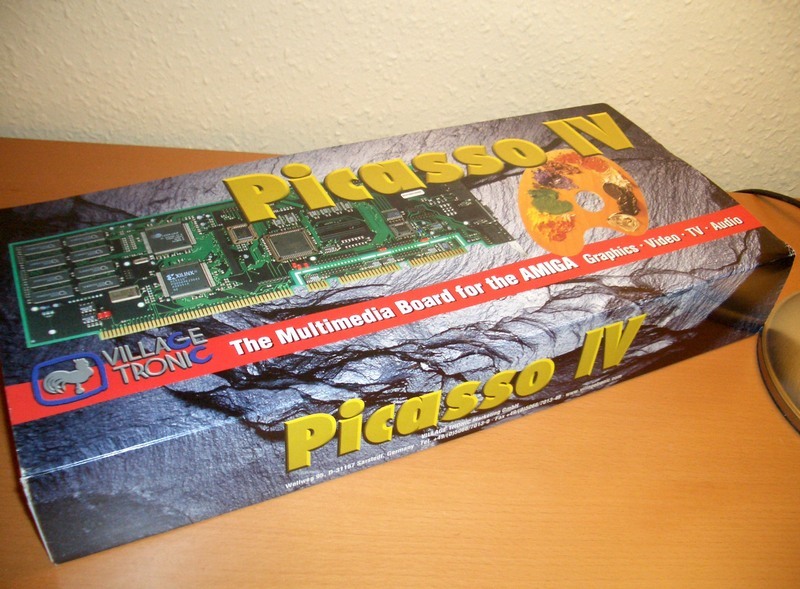 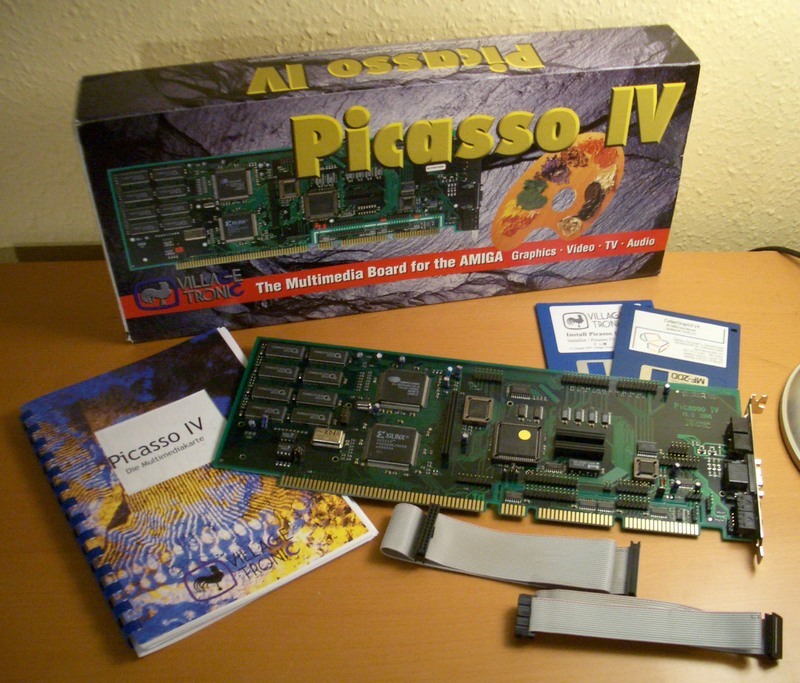 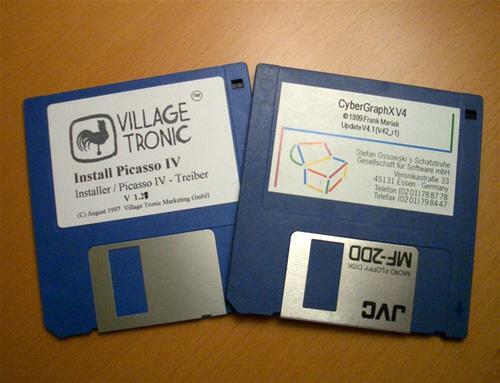 The Picasso IV is a Zorro II and III auto-sensing graphics card. It has a pixel clock of 135Mhz (8bit), 85Mhz (16bit) and 85Mhz (24bit). 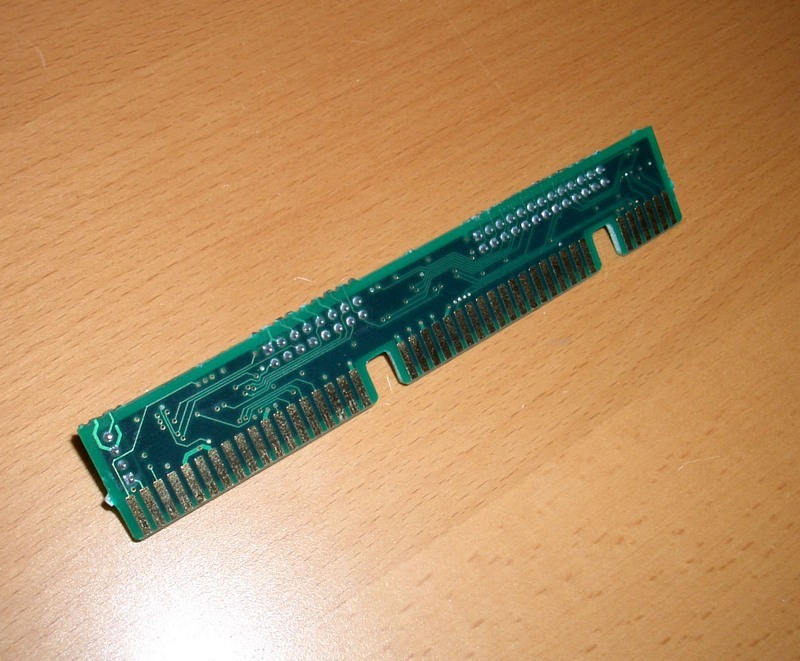 It contains a built in 100Hz flicker fixer. 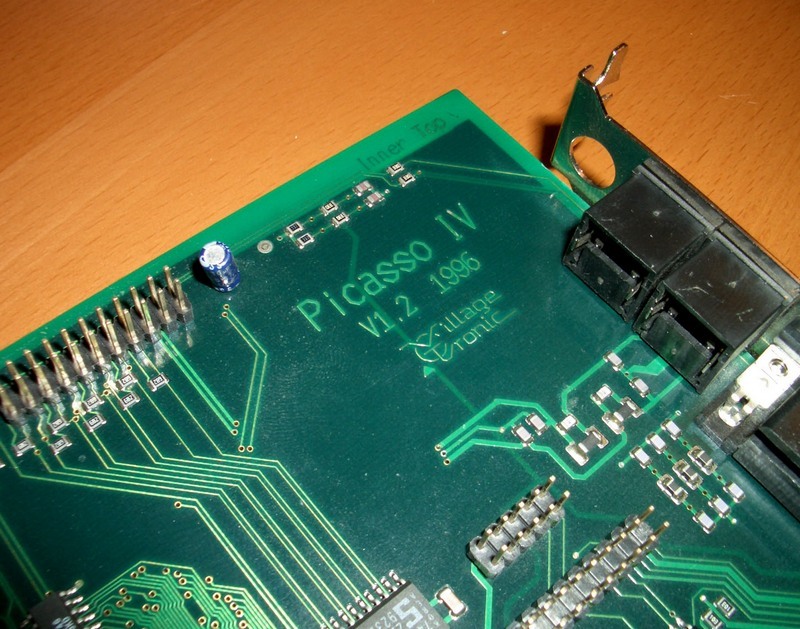 If the Picasso IV is intended for use in an A2000, the flicker fixer can actually be "snapped" from the card and joined to it by a ribbon cable. This is because the A2000 does not have an inline video slot, like other models. 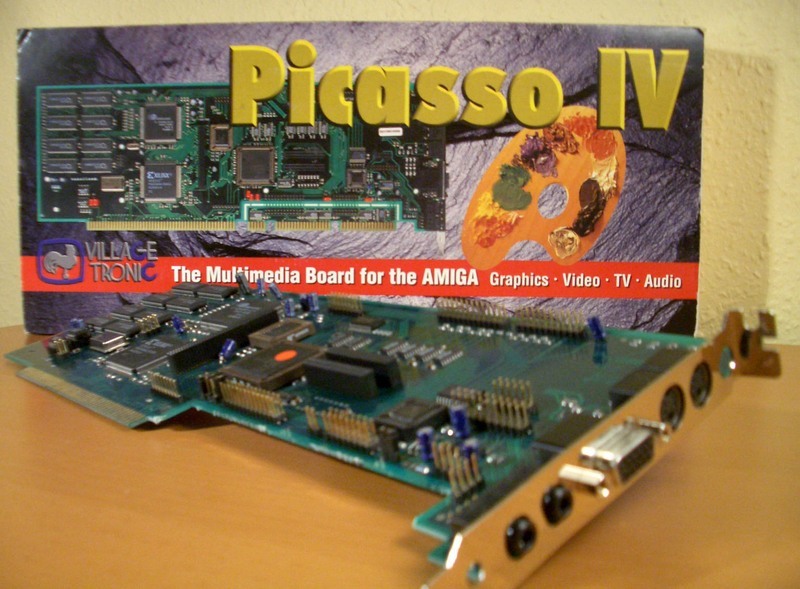 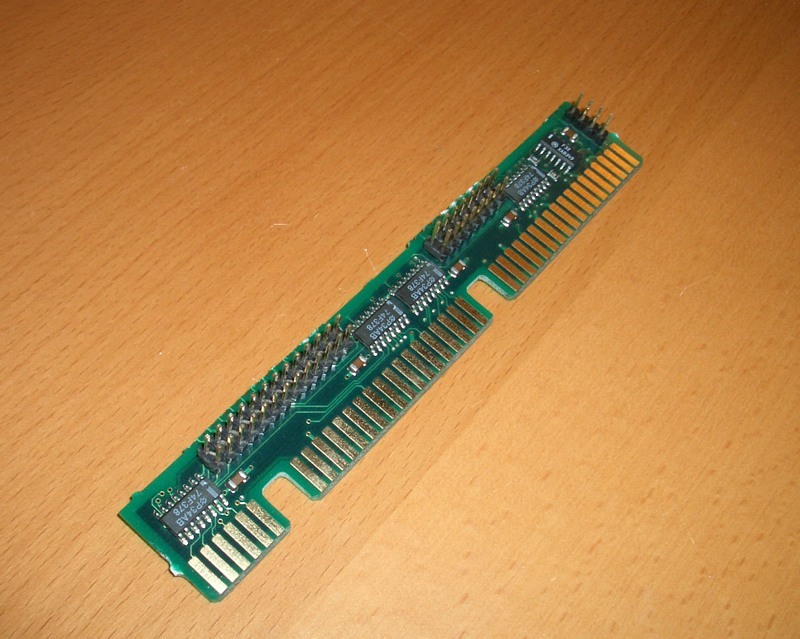 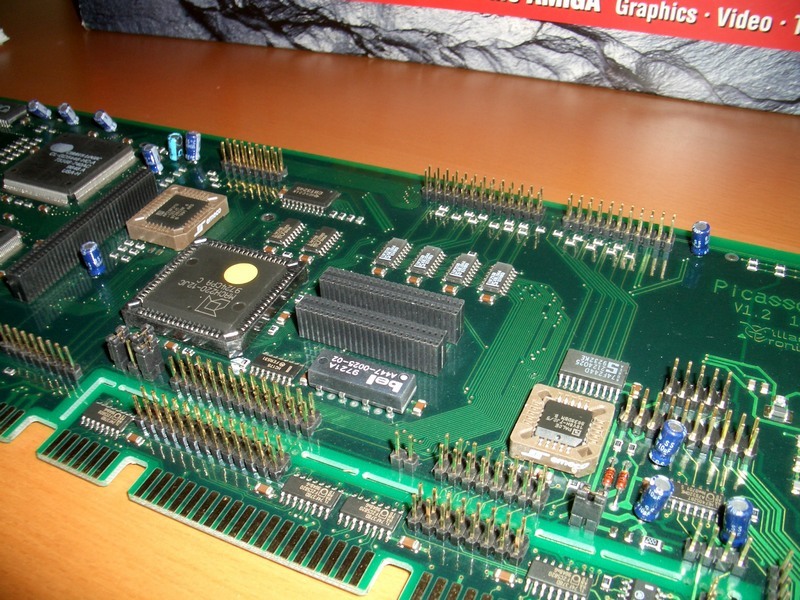 It also contains a local PCI expansion bus, for which several add-on cards were made, such as the Paloma IV TV Card, the Pablo IV video encoder, and the Concierto sound card. 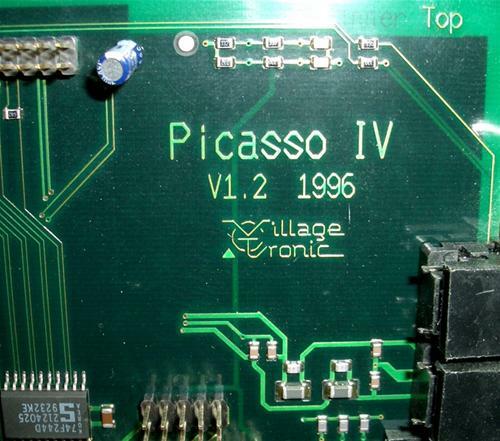 A 3D module based around the VooDoo chipset, and a MPEG module were planned, but unfortunately were never released. 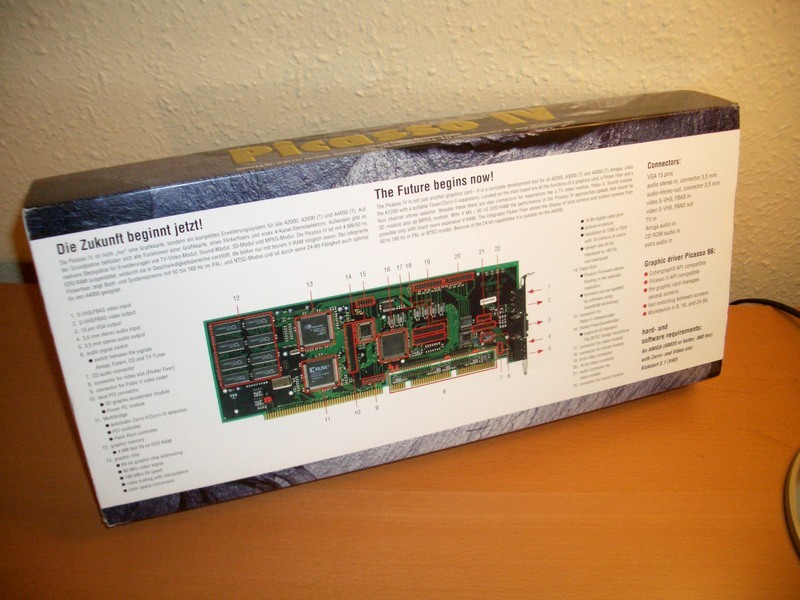 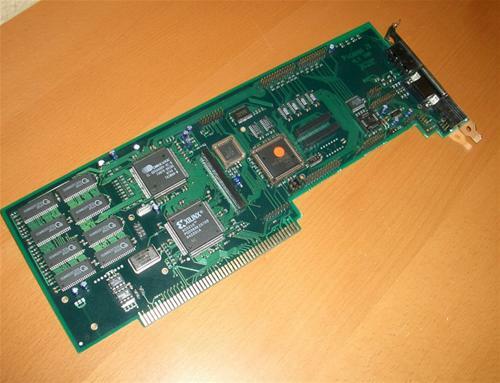 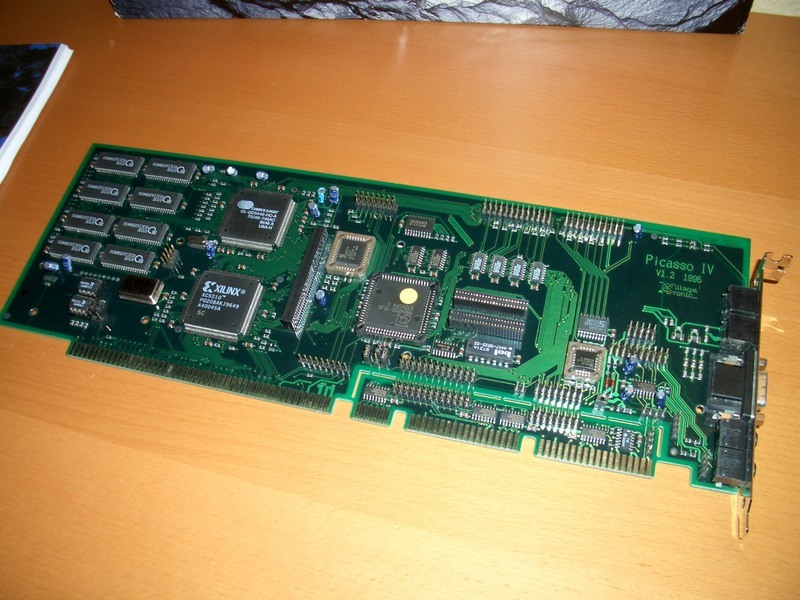 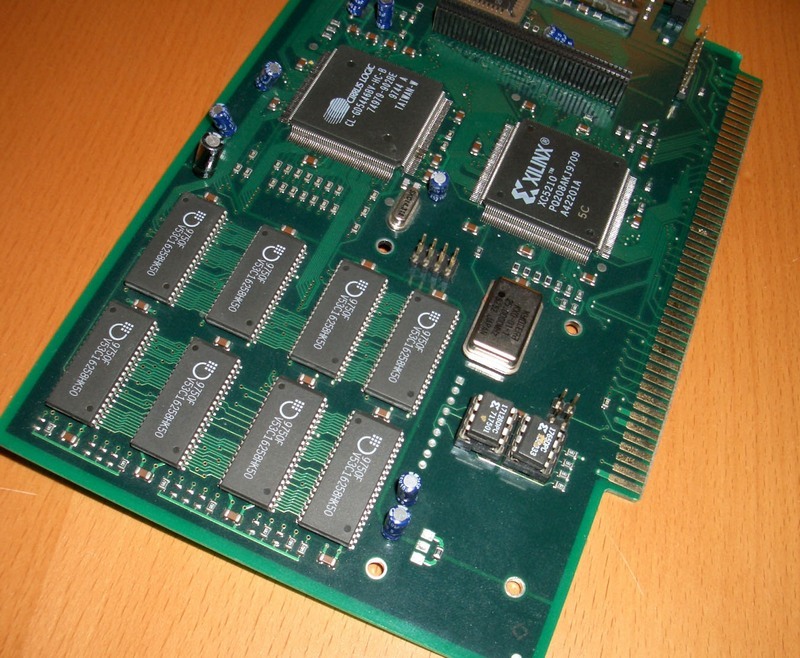 The card also contains a 4-channel audio mixer, a CDROM input connector, a Flash ROM controller (for updating the firmware) and is endian agnostic. 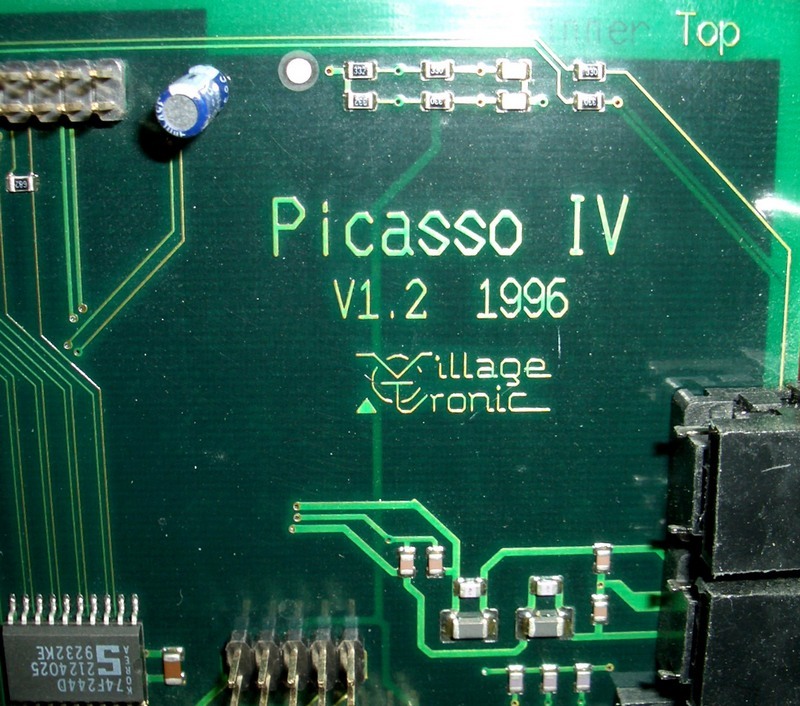 Page contributors: Jan Pedersen, Mario, RiWa & Friends, Rob Goodison, Takahasi Kasiko.